Here's a small list of Evergreens for Containers that will be easy to take care of in both cold weather and indoor conditions. Even indoors, some household plants just don’t do well during the winter, and it can be disheartening to look out over the barren landscape outside and realize that the interior of your home is just as barren. For those who keep their home at a low temperature during the winter, keeping plants that are intolerant of the cold alive can be difficult. 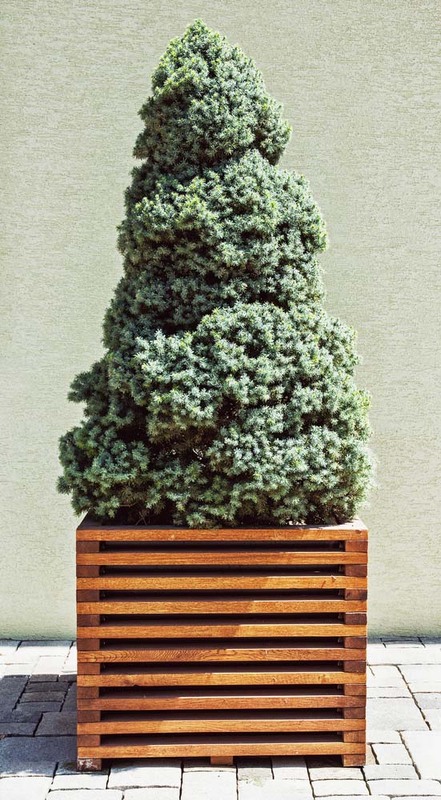 Luckily, evergreens are hardy enough to do well in both cold weather and indoor containers. You can choose to keep your evergreens indoors or keep them outside on the porch to add a little color to your home’s front walk. However, if you choose to leave a potted evergreen outside, you need to make sure that the plant will survive. When in a container, the plant’s roots are more exposed to the cold than if they are planted in the ground, so they can’t handle the same temperatures in a container as they would be able to naturally. The same rule applies to extreme heat. Keep container evergreens out of the hot direct sunlight, and make sure they’re well watered, so the roots don’t dry out. By taking the time to consider which evergreens are suitable for your climate, indoors or outdoors, you can find some truly beautiful and hardy evergreens that will live for years to come. 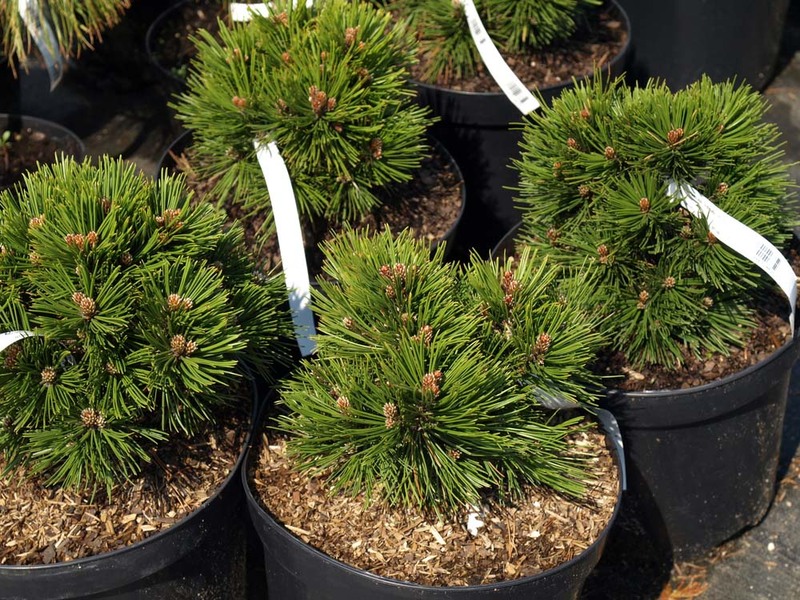 We’ve assembled a list of 7 of the very best evergreens to keep in containers! 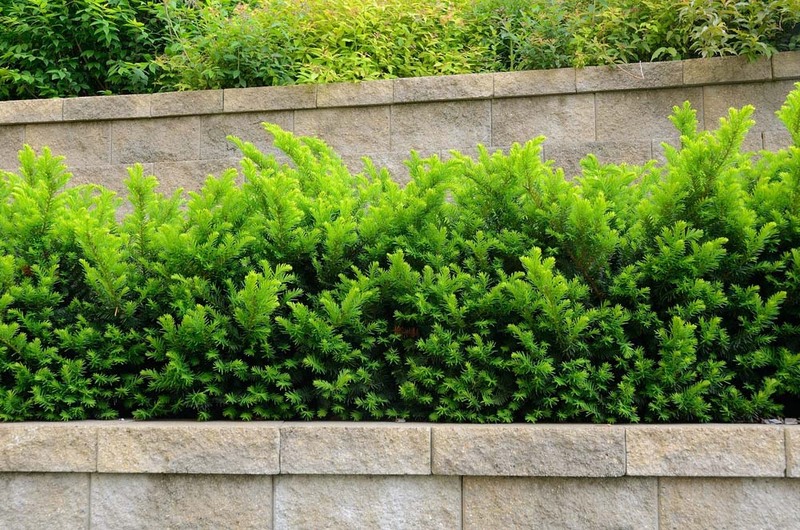 Boxwoods are dense evergreen shrubs that are suitable as topiary. They do flower, although the flowers are small and do not last very long. A pair of boxwoods can look incredible framing an entryway, but even just one can be an incredible addition to any space in your home. 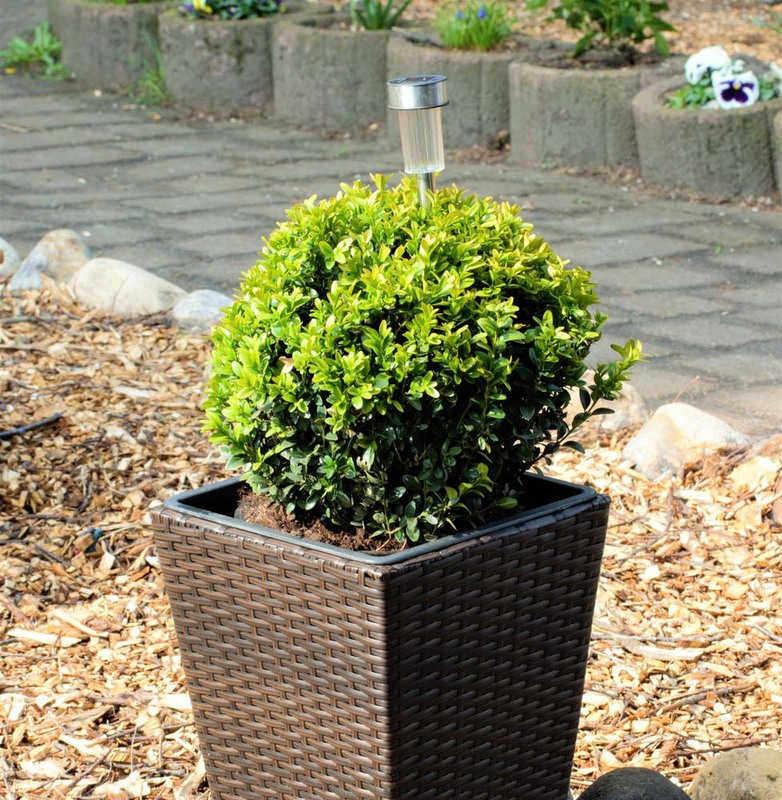 Boxwoods are slow growing, and need adequate drainage, so be sure to place gravel at the bottom of your pot. Letting the shrub sit in water will rot the roots, killing the tree. 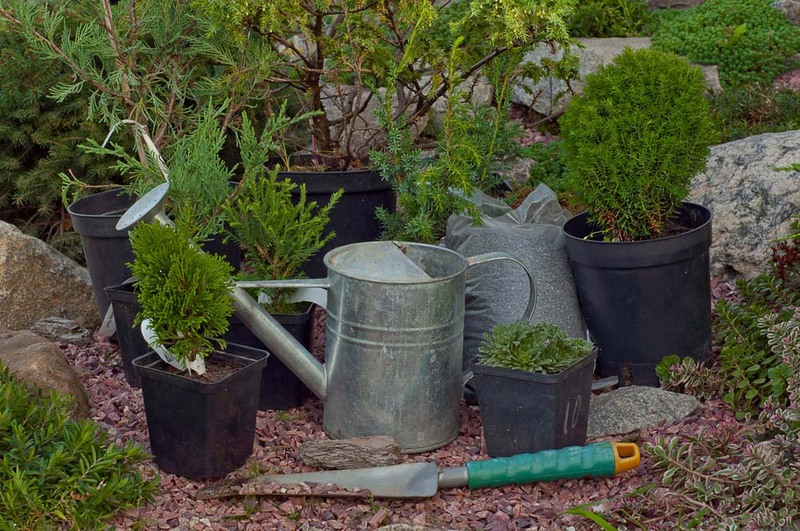 Prune your shrub as often as necessary to keep it in shape. Pruning is necessary, because if the shrub gets too full, the inner leaves will die, making the plant look unhealthy and hollow. The Japanese juniper tree is an evergreen shrub that loves direct sunlight in the morning, but needs filtered shade during the hottest part of the day. 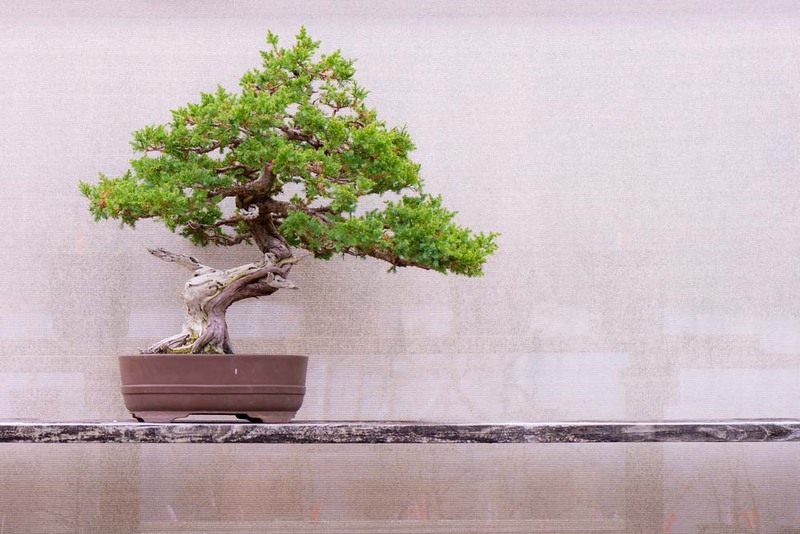 You may mist your bonsai during the winter if it is located near a heat source or in a dry area. To water your bonsai, check the soil. It should feel dry as deep as a half-inch into the soil. If the soil feels dry, place it in a container of standing fresh water for five to ten minutes. While Juniper bushes have fallen out of fashion for landscaping, the drought-resistant bushes are great for keeping indoors. They’re long-lived, and there are many forms and colors available to choose from. Colors can range from dark green to bluish gray, and even light yellow and bright green. 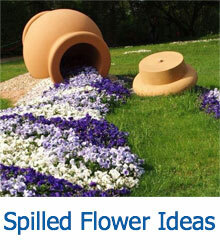 While Juniper tends to spread quickly in a garden, in a container, that isn’t a concern. They love full sun or light shade and need well-drained soil. 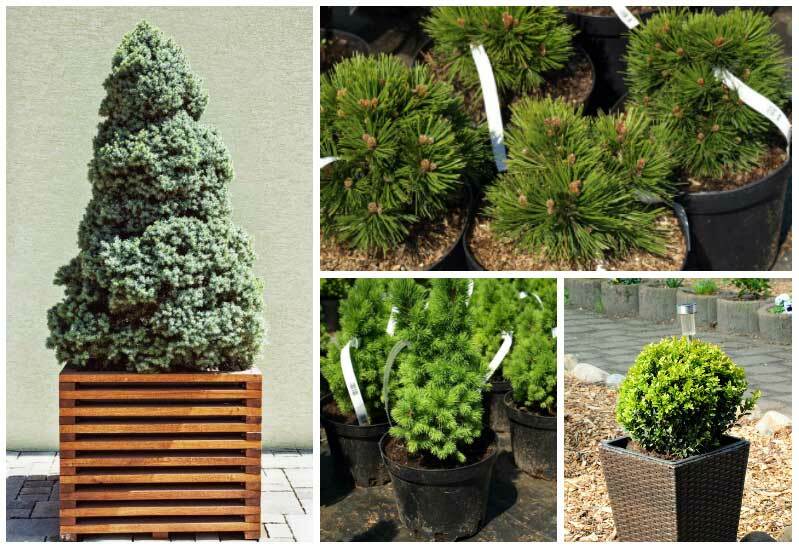 These cute potted trees can be found in supermarkets during winter holidays, and while most people assume that they need to move it outdoors after the season is over, Dwarf Alberta Spruces work great in containers. They have a slow growth rate, so it won’t quick outstrip the planter, and tolerates cold, but not heat. Water the spruce when the top three inches of soil feels dry. The tree loves full sun and partial shade. 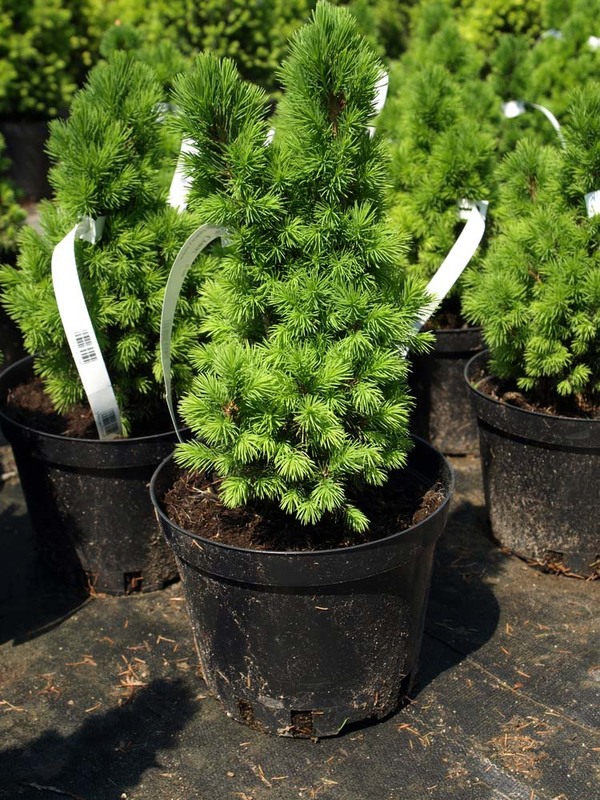 This dwarf conifer loves full sun and well-drained soil. It forms globe-like balls and has deep green needles. 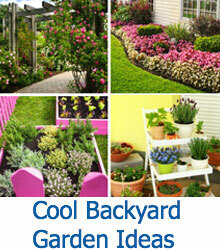 It’s a great choice for a container because it’s slow-growing and will expand more in width than in height. White cedar is an evergreen conifer that is widely cultivated as an ornamental plant. It has fan-like branches and scaly leaves and needs to be frequently watered to keep the soil moist, as they tend to dry out quickly in pots. 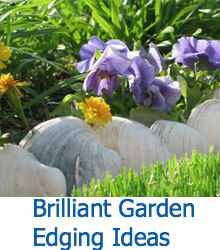 You’ll also want to fertilize the shrub every three or four weeks during the growing season. Yews have flat, short needles that are dark green on one side and light green on the other. They’re shade tolerant, which means that they’ll do well even if your home doesn’t get a lot of sunlight. They need to be kept moist, as the root ball can dry out quickly when in a container.